These Oatmeal Chocolate Chunk Cookies are based on the popular Ben & Jerry’s ice cream flavor! They’re a thick oatmeal cookie loaded with chocolate and topped with a creamy sweet brown sugar cinnamon buttercream!! I’m not sure if the ice cream flavor is available everywhere, but it’s a HUGE favorite of mine! The ice cream itself is Sweet Cream Cinnamon Ice Cream with Chunks of Oatmeal Cookie and Fudge. So making a cookie version was kinda easy and totally delicious. You can absolutely make these Oatmeal Chocolate Chunk Cookies without the frosting, but keeping in part with the ice cream flavor it’s a fun addition! Chocolate Chunk Oatmeal Cookies are easy! They’re thick and soft with crisp, buttery edges! It’s a fairly straightforward recipe. But I do use only dark brown sugar in my oatmeal cookies. The dark brown sugar gives the cookies a deep, rich flavor. If you have made my Oatmeal Raisin Cookies, you know what I mean…and if you haven’t, you NEED to!! 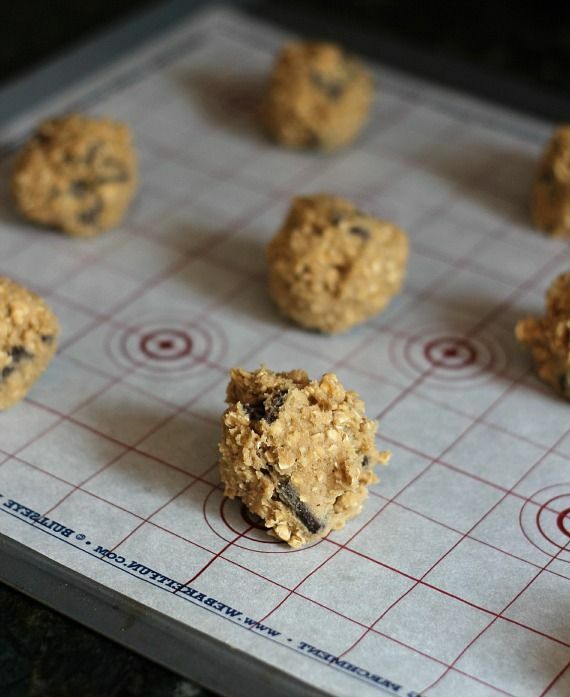 Also I used quick oats in these cookies as opposed to rolled oats, or old fashioned. The quick oats are cut into small pieces (so they cook faster) and tend to give this cookie a more uniformed texture. You could certainly sub in rolled or old fashioned if that’s what you have, it isn’t going to hurt, the cookies will just appear more “oatey”, which is totally a word. Let the cookies bake until they are golden around the edges…don’t over-bake these guys. Let them cool on your baking sheet for about 3 minutes and the transfer them over to a wire rack to finish cooling. While you’re waiting you should make your frosting. Now this frosting is out of control good. Like I said earlier, it’s a Brown Sugar Cinnamon Buttercream, so it’s pretty much perfect. 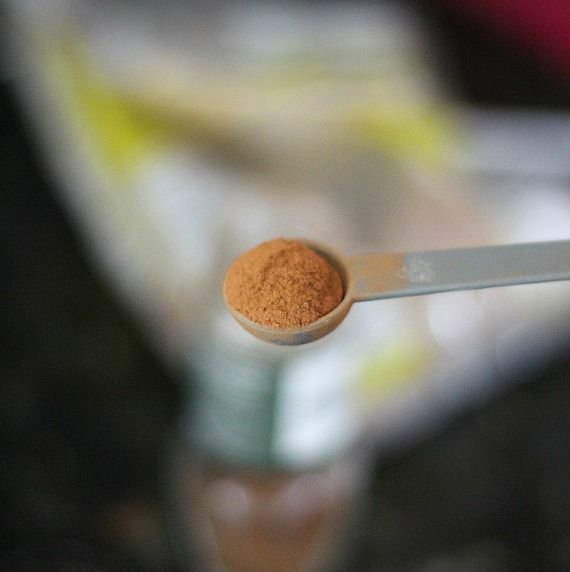 I like using a strong Saigon Cinnamon. It just tends to have a bit more pop of flavor. Honestly, these are going in the cookie rotation in my house! Cream butter and brown sugar together until combined, about 2 minutes. Add eggs and vanilla and beat for another 2 minutes until light in color. Slowly add in flour, salt and baking soda and mix until just combined. Slowly pour in oats and mix. Form about 1 1/2 tablespoon of dough into balls and place on baking sheet 2″ apart. Bake 8-9 minutes until golden around edges. Allow to cool on baking sheet for 3 minutes and transfer to a wire rack to cool completely. In bowl of stand mixer beat butter and brown sugar together for 2 minutes. Turn mixer to low and add in cinnamon and powdered sugar. Finally add in milk and vanilla and beat for another 2 minutes until light and fluffy. Spread approximately 1 tablespoon of frosting on each cookie. Oh my gosh!! You are killing me this week! I want to make all of these treats!! So delicious! I loooove the oatmeal cookie chunk B&J ice cream flavor! No doubt, I would also love these cookies. And I’d like to eat that cinnamon buttercream frosting by the spoonful (and I’m talkin’ a large spoon). Good grief, frosted oatmeal cookies! I’m in heaven. I’m also in walking distance of a Ben & Jerry’s and all this ice cream talk has me craving it! yes, yes, and yes. Loved your Ben and Jerry’s fun! That frosting looks especially lovely! Yum! I totally in love your desserts right now. My favourite base to cookie has to be oatmeal. I find English cinnamon not strong enough, so so clever to use the Asian type. Oatmeal cookies are my favorite!! All time hands down favorite. LOVE them. And with cinnamon frosting? These need to happen at my house!! I’ve never seen this flavor of B&J!! I KNOW it would be my fav! These cookies look delightful! I’m pretty sure, that frosting, wouldn’t even make it on the cookies if I was making them! Spoonful after spoonful……yum! This might just be my favorite of the lot! I’m a sucker for anything that involves cinnamon, brown sugar, and buttercream. I’m sitting here with my jaw to the ground because a) I had no idea that Ben and Jerry’s has an oatmeal cookie ice cream – I feel cheated (I do live in the middle of nowhere with unspeakable, meaning terrible, grocery access, but still) b) I’ve never thought to put frosting on top of an oatmeal cookie but clearly I need to rectify that immediately and c) I just spent the last hour perusing the internet for a dessert to make for a ladies’ night dinner at my house tomorrow – I was feeling oh-so uninspired (how does that happen with so much available on the ol’ internet anyway) and then I saw these which of course I’ll be making. I don’t know how you come up with this stuff but you are brilliant. The frosting looks divine! Sweet and cinnamony, you can’t go wrong! These cookies look amazing! Think I might just have to make them for a grad party this weekend. That buttercream… damn! And I love dark brown sugar too! Funny I used to never use it but once I did, I haven’t gone back! Oh, you iced them, you devil, you! I love the cinnamon buttercream frosting on these! I bet that makes them extra sinfully delicious. This has been such a fun theme and I have loved what you have done with these flavors – so creative. This is my favorite Ben and Jerry’s flavor. It always surprises me how much I love it. I can’t wait to try these cookies. Ahhh you are making me crave the ice cream and I can’t even find it anymore!!! Thanks for an awesome week filled with creative recipes! I made these cookies last night for my husband…. needless to say, I am the best wife in the world. Really. These are AWESOME!!! Great job!!! OMG! These look so delish! I love the addition of the frosting!!! I just made these cookies and they’re absolutely delicious! I just wondered. I made half of the frosting, because some people here don’t love frosting (can you believe that? ), but I still had way to much frosting for all my cookies. So I ended up throwing some frosting away. How much frosting do you put on your cookies? I think it should be quite a lot or did I something wrong that I had to much frosting? Just made these and they are so good! Didn’t make the icing tho as I only have one mixing bowl and I still have dough in it. So I made a glaze from icing sugar, cinnamon, milk and vanilla instead. Too hot to add it still but tastes good. Thanks for a yummy recipe! Was craving something sweet and I came across this recipe. Amazing!! They were so quick and easy to make, and that frosting was an amazing touch! So yum. I halved all the ingredients for the frosting as I only baked half a batch of cookies (froze the other half for later) and it was still really good. Yum yum yum. These look amazing, Shelly…what a great combination of some of my favorite flavors. Pinned! Has anyone used reg oats rather than quick oats? does it make a difference?? Made these a couple days ago and my family and I love them. They’re super moist and the cinnamon buttercream frosting adds the perfect touch! How would stack or store these cookies to keep the frosting on them, if you want to give these as gifts. I would let them sit out for a few hours for the frosting to set up. It’s a fluffier frosting so it will never set up completely. But I night recommend laying them sideways in a box and using parchment paper to separate them. The cookies are the BEST!!! My husband says they are the best he has ever had. Thank you for the recipe! I need to make a ton of these for a function (dozens and dozens). Would you recommend freezing them with the frosting ON them? Or frost them after defrosting? Is there no baking powder or baking soda in the recipe? I didn’t see it in the ingredient list. Thank you for the recipe! There’s baking soda in the cookies 🙂 it’s listed in the ingredients…the seventh ingredient listed! My cookies didn’t flatten out like your picture…? I used my small cookie scoop. 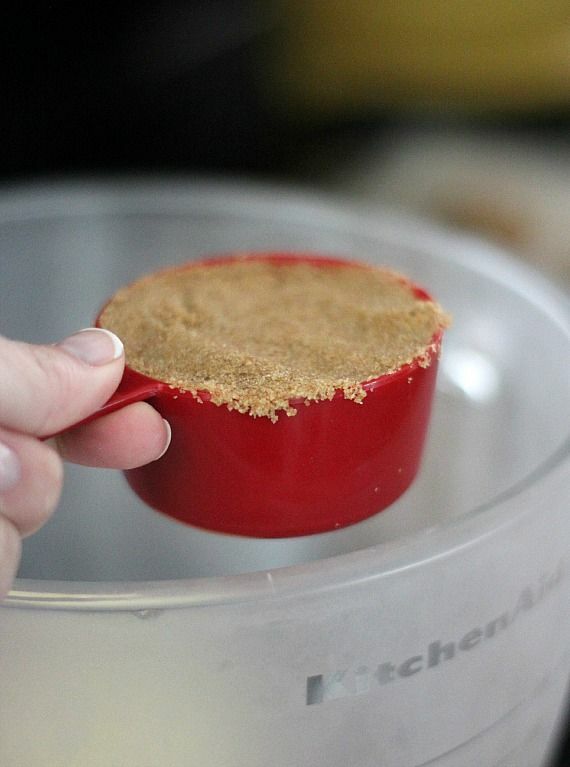 I forgot to use my dark brown sugar but will next time, along with my bigger cookie scoop. Will the frosting lose the crunch crunch from the brown sugar if I cream it longer?